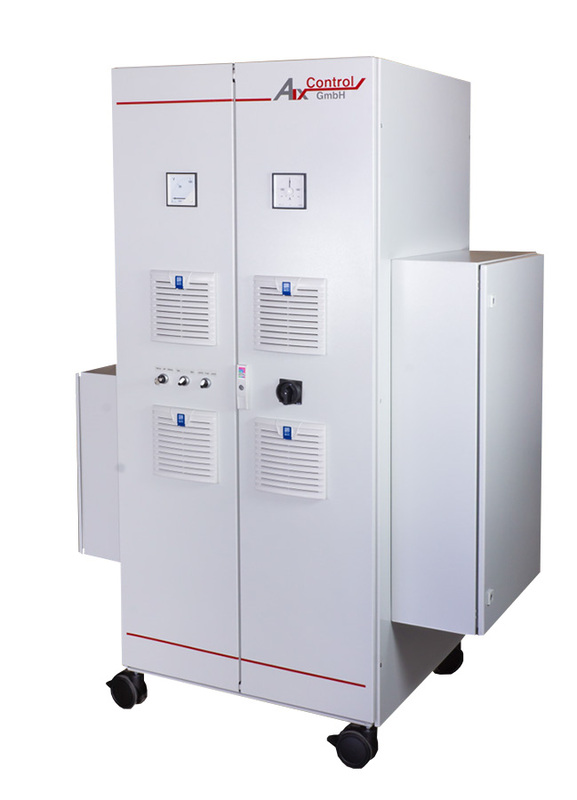 The XPB-Rack 6P/600/450 is a versatile, self-monitoring IGBT 6-phase inverter. Two B6-bridges offer 900 A at a dc-link voltage of 600 V and a switching frequency of 10 kHz. With current derating, switching at up to 20 kHz is also possible. 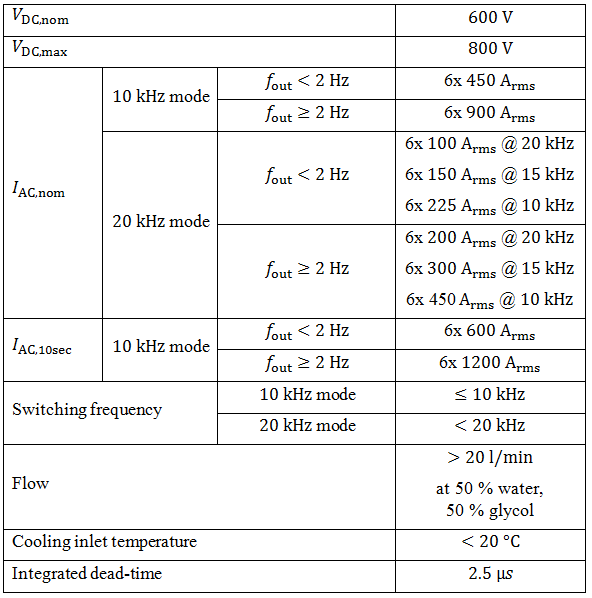 Two FPGAs monitor several temperatures, switching frequency, output and input currents and so on. Additionally, it realizes a RS-485 communication channel to superior control. The dc-link is protected by our Crowbar Thyristor. For robustness, the IGBTs are driven by fiber optics. The table below lists some of the nominal data of the rack. The inverter rack is offerded in protection category IP44. 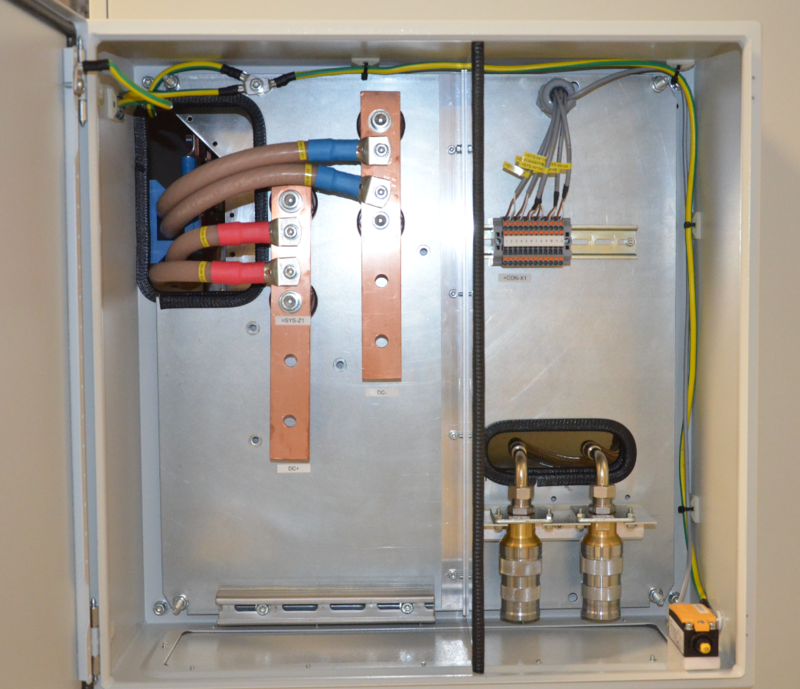 On the left the dc-link, the cooling system and external safety circuits can be connected. 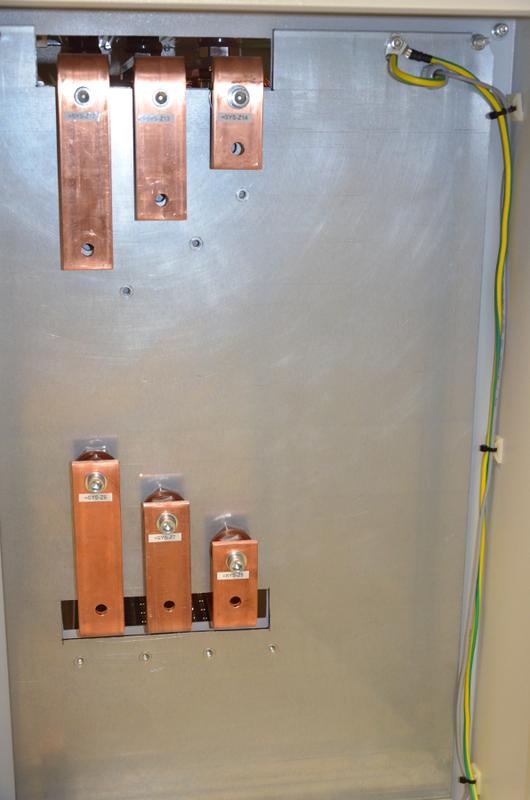 On the right the ac-contacts are realized by copper bars. The grounding point can also be found there. The front offers some switches to configurate the inverter and indicates the dc-link voltage and current by analog measuring instruments. Inside the rack an own control system can be placed at the bottom. Enough space has been left free. The dc-link connection points and the cooling and safety circuit connections are seperated by a partition plate. 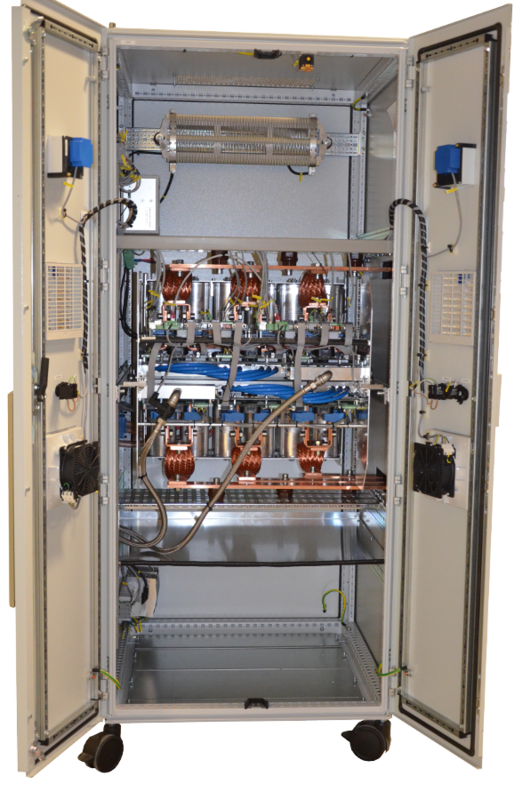 For safety reasons, each door of the rack has built in door contact switches. The six ac-contacts are on the right of the rack. Shields can be connected directly to the rack's PE by riveting nuts.